Do you remember ‘Our Friends in the North’? Back in 1996, this superb series charted the lives and loves of four friends over forty years. It featured the very talented but relatively unknown actors Daniel Craig, Gina McKee, Christopher Eccleston and Mark Strong. 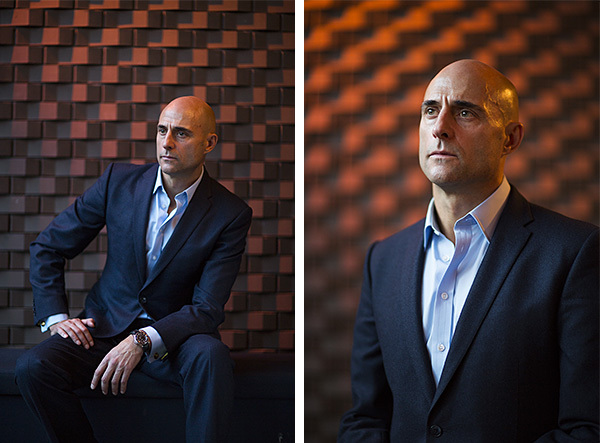 I fell in love with this drama, so when the London Evening Standard asked me to photograph Mark Strong recently, I was thrilled. A brilliant actor who has just got better over time, but would I be disappointed? On the contrary, he oozed charm and politeness, beginning by saying he was sincerely sorry not to have more time for me (15 minutes) but he was in my hands so I could do what I wanted. Music to a photographer’s ears! Here are a couple of my favourites from the session. 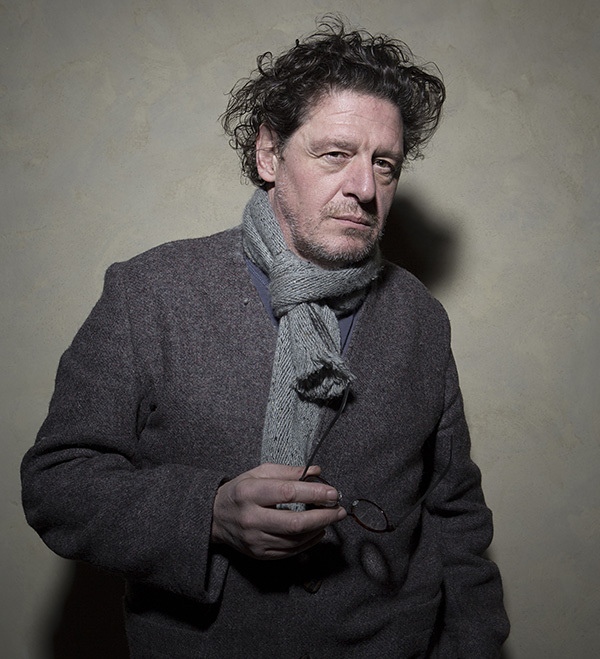 Marco Pierre White has a reputation as a straight talking, feisty operator. I had photographed him some years ago and he was grumpy, swore a lot and chain–smoked. To say I was a little apprehensive was an understatement. However, time and the brilliant Evening Standard journalist Nick Curtis had both worked their magic. He was courteous to the core. He even managed to sound polite when after only 3 minutes of shooting he commented, “I think you’ve got that one now”. On to the next set up and we were all wrapped up in 2 minutes. He shook my hand saying “I like a photographer who is quick”. Praise indeed! Bored to tears with this damp and cold season? In a bid to chase away the winter chill, I have decided to do a photographic countdown to Spring. Having recently picked up a Leica M 240 digital camera, it’s a great opportunity to indulge myself in what I hope will be a hastening of warmer weather. I shall publish the images on my instagram page. 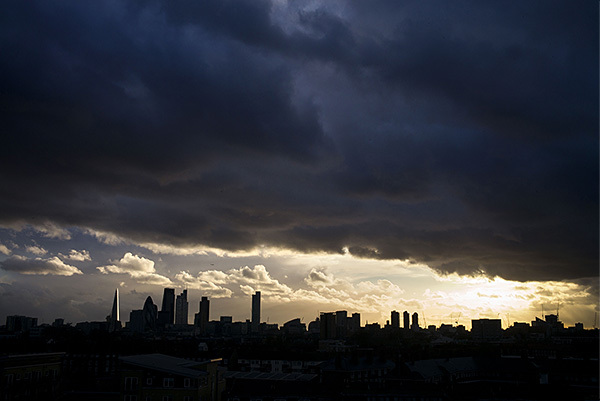 Here is the first of the series: The dark clouds of winter are beginning to be split by the light of spring.